Challenging Mazes for Hours of Entertainment! Dozens of mazes to keep you entertained for hours! Journey through snowy biomes, desert temples, Nether fortresses, and more—whether on a long car trip or at the beach! This inviting collection of unique mazes for gamers of all ages is jam-packed with colorful characters and settings straight from their favorite game. Kids will be challenged and entertained for hours upon hours. This adventure series is created especially for readers who love the fight of good vs. evil, magical academies like Hogwarts in the Harry Potter saga, and games like Minecraft, Terraria, and Pokemon GO. 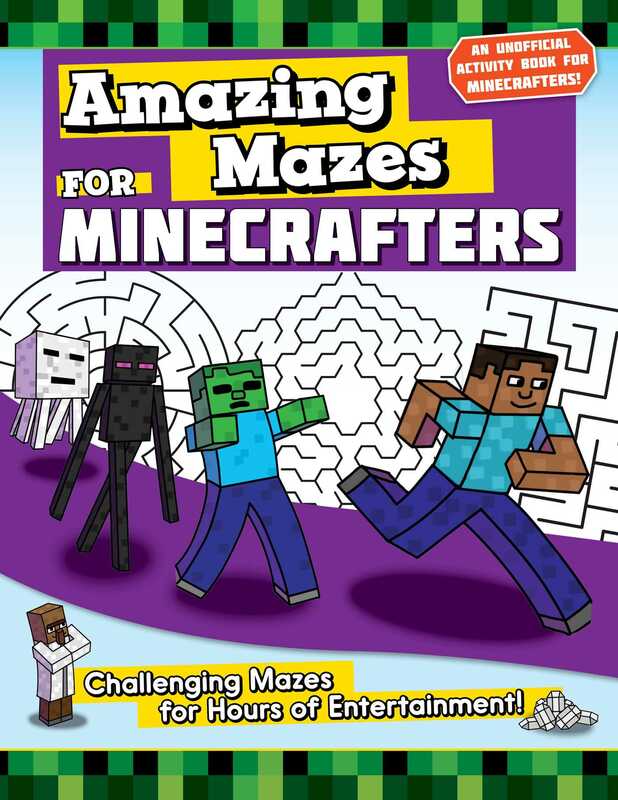 Beat boredom and sharpen kids’ brains with a treasure trove of mazes straight from the Minecrafting world!